Since "Posting jobs" is the main action of a company, it's also the main method for you to generate revenue. 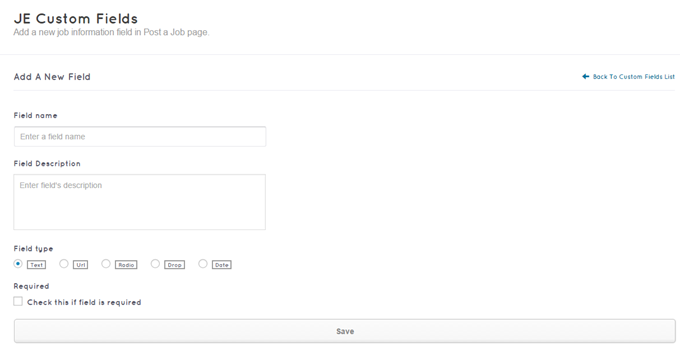 You should always remember to create "Posting job" form for your users to display their projects. Visit Engine settings > Settings and go through the following steps to complete the settings. JobEngine Theme has supported your payment through: PayPal, 2Checkout, Authorize.net or users can pay cash. If you want to extend to the other payment gateways, there are some JE extensions you should purchase : JE PayU Money, JE PayPal Express, JE Paymill, JE Stripe. And after that, enable any payment gateway you want to use. Note: You will need to check if your currency is supported by these payment gateways. If it is not supported, you may use Cash method. Payment plans are price packages you can create to give your employers smart choices for their job posts. Each payment plan shows the price, the time period an ad will be active on your site, and if an ad is regular or featured. Enter a payment plan’s name, price, a number of jobs, and job post duration. You can also write a short description of the plan. 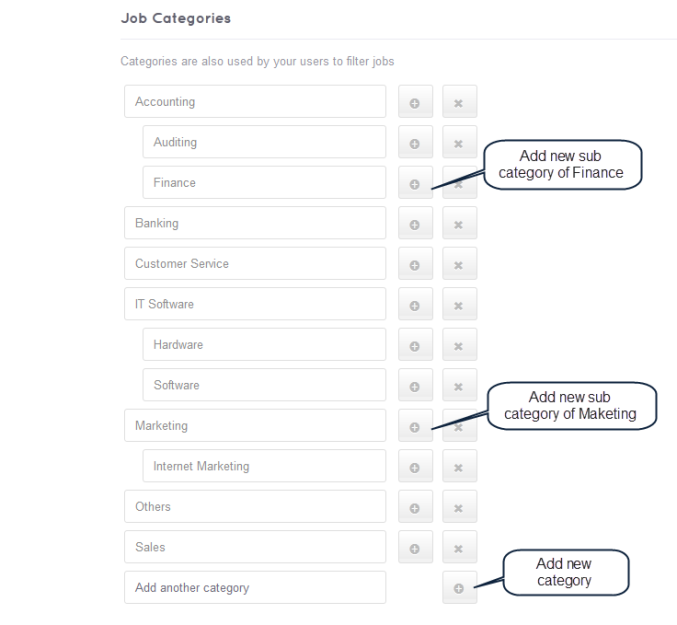 Tick Featured Job box if you wish all ads under this plan will be Featured. Go to Engine Settings > Settings > Payment > Payment Plans. Choose which plan to edit and click the pen icon next to it. Make your changes on fields you wish to modify: payment plan’s name, price, availability, and a number of jobs. 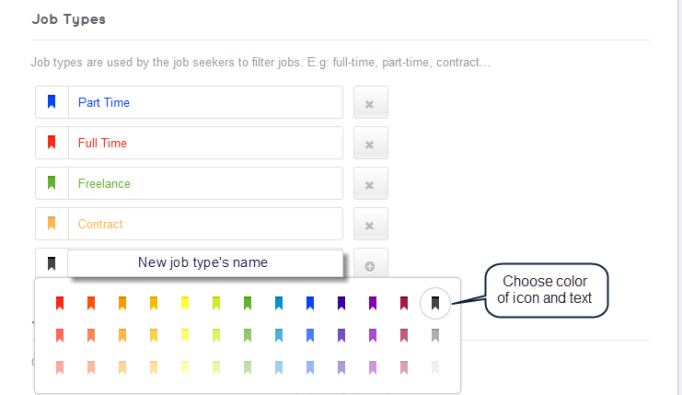 Check the Featured Job box to make a regular plan a featured one; uncheck it to make a featured plan into a regular one. Click Engine Settings > Settings > Payment > Payment Plans. Choose the plan you wish to remove and click the [x] button next to it. In the backend, click Engine Settings > Settings > Payment > Payment Plans. Point and drag the Reorder icon at the left of the plan. If you want to add the new type or category, enter its name in the final box and click “+” button. You can add the subcategory by clicking the “+” button next to the category you want to add sub. To delete any type/category, click “x” button next to that one. You want your users can insert more information which is not available in the default Post form, you can add some custom fields. However, remember that before doing that action, you have to aready plug the extension JE Custom Fields into your theme. To add a new custom field, choose Engine Settings > JE Custom Fields > Jobs > New. You need to fill out provided boxes: Field name, Field description and choose type for the field.There are 5 types for a custom field: Text, Url, Radio, Drop, Date. Check on Required section if you want the users to fill out this field. Do not forget to click Save button.